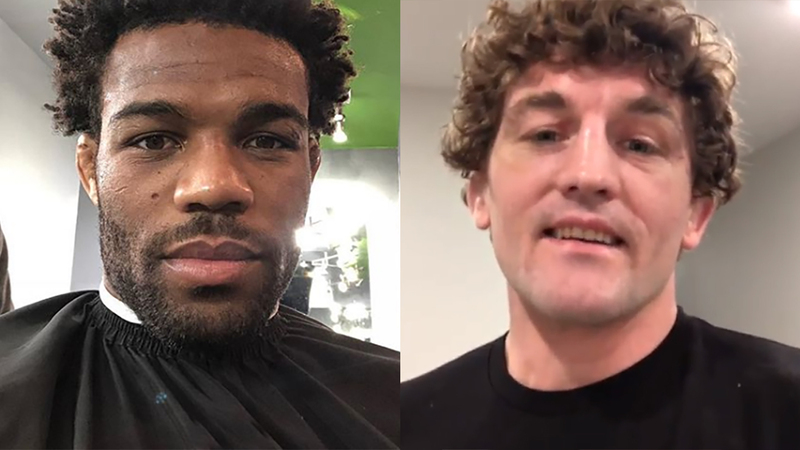 Home MMA News Ben Askren Will Meet Jordan Burroughs In A Wrestling Match! The Former ONE And Bellator King Ben Askren Scheduled To Wrestle Olympic Gold Medalist Jordan Burroughs On May 6th In Madison Square Garden! After a controversial bulldog choke victory over Robbie Lawler at UFC 235, Ben Askren is expected to square off against Jorge Masvidal at UFC 239, on July 6, 2019, in Las Vegas, Nevada. Jorge Masvidal has verbally agreed to fight Ben Askren on July 6 in Las Vegas, according to sources. UFC wanted June 8 but that date didn’t work for Masvidal. Askren tells me that date works for him, too. Hoping to finalize it shortly. But before that clash, Ben Askren will participate in a wrestling match against a very tough opponent. “Funky” is slated to fight Jordan Burroughs, the man who won the Olympic gold medal in London 2012. The match will be streamed via “Flo Wrestling”. It is set for May 6th, at Hulu Theater inside MSG, New York. IT’S ON! The BEST of the BEST will meet in the Hulu Theater at Madison Square Garden on May 6th. Askren’s MMA score is 19-0, 1 NC, mostly thanks to his superb wrestling base. “Funky” dominated the most of his opponents via amazing takedowns and stunning ground game. Before he turned MMA, Ben Askren was the champion of the world in men’s grappling in 2009. Askren also took part in freestyle wrestling in the Olympic Games in Beijing 2008, where he was stopped by the Cuban competitor Ivan Fundora. Jordan Burroughs is one of the most dominant wrestlers ever. Burroughs was the World Championship winner four times (Istanbul 2011, Budapest 2013, Las Vegas 2015, and Paris 2017). He is also a former two-time champion of Pan American Games. This will be an interesting fight, no doubt about that. What do you think, will Ben Askren surprise Jordan Burroughs? Please give us your comments and predictions!